This Christmas the social gadgeteer has so many exciting bits of tech to choose from, you may not know which way to turn. From 3D HDTVs, Google’s amazing Google TV, new Xboxes, social cameras and more, it’s a tough choice to work out just how to spend the hard earned fruits of your labours. So we thought we’d help you out over the coming weeks with some handy posts showing you the gadgets you should buy and why. First up: should you buy a smartphone or a tablet? For part 1, let’s take a look at where Android’s strengths lie. Part 2 will come next week, when we look at 10 things an iPad does that an Android phone doesn’t. 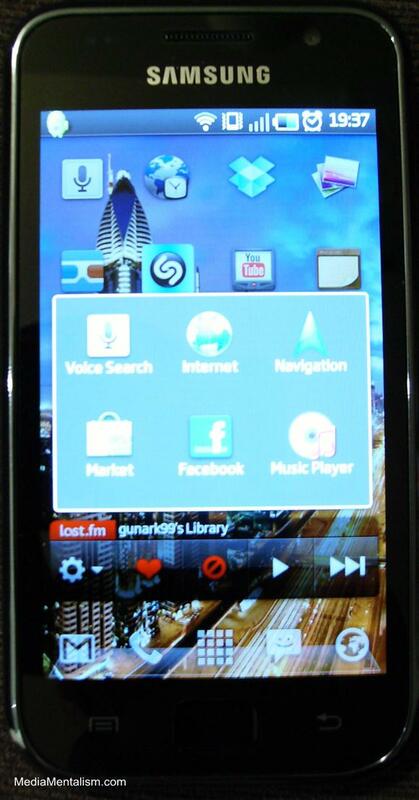 While Apple’s iOS 4 lays claim to multitasking, it’s only just catching up with Android. 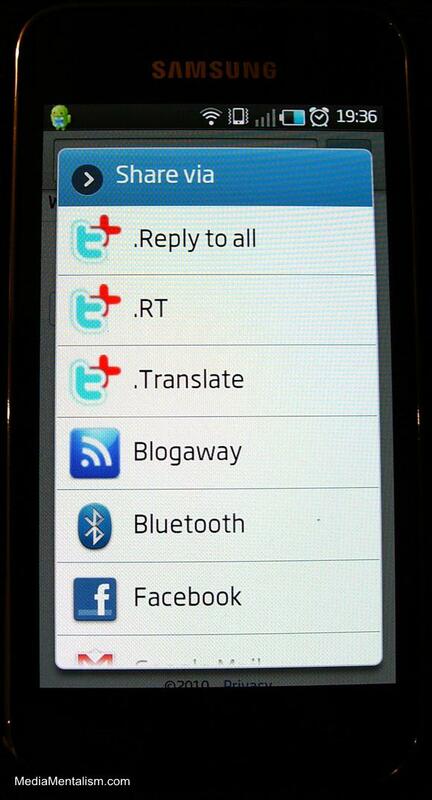 Multitasking brings the Android handsets into the pocket computer arena with fast switching between applications, allowing you to run things in the background such as Twitter or a music application. 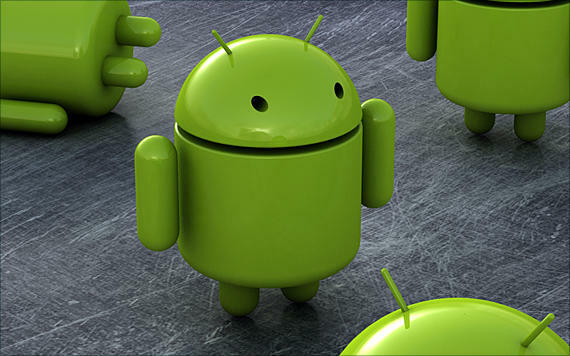 This makes the operation of Android handsets closer to that of a computer, as many phones shut or suspend applications when you exit them – not good if you’re working on things and you need to refer to something else. Widgets, for those not in the know are micro apps that sit on the main screen connected to a main app. For example if the main app is a weather app, then its widget would be a little display in the main screen that shows data from the main app – in this case, it’s the current temp and weather. Widgets can be used for anything such as showing twitter posts, friends facebook statues or just controls for the music player, and they are an extremely quick way to see lots of information on one screen. Plus, they look pretty cool too. Although Apple introduced their version of Widgets a long time ago into the desktop OSX 10.4 Tiger operating system, so far they haven’t implemented a similar system on their iOS-based devices such as the iPhone, iPod and iPad (and you’ll really miss them from the iPad). This is particularly odd, given their popularity and usefulness on Android phones, which have nearly as many widgets as apps. Well after all Android is fruit of the Google tree, and you can expect pretty tight integration with the rest of the family G. Making a welcome appearance is Google Mail, Google Maps, Google Calendar / Contacts and more, all integrating nicely with their desktop browser equivalents. There’s forthcoming integration with Google docs too, including the ability to edit Google docs documents directly within the phone. This brings an excellent basic office suite to the handheld – even if it’s a little small on a phone. 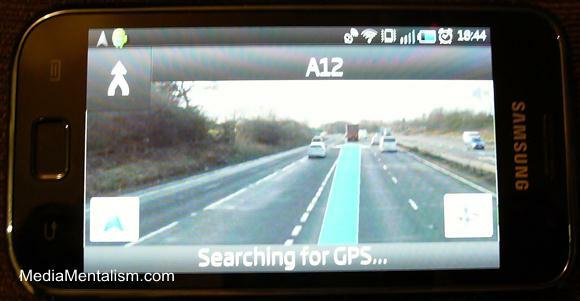 GPS is very common on phones these days and there’s even GPS-like circuitry in the 3G iPad, but nothing uses it so elegantly and cheaply as Google Navigation. A subset of Google Maps, Google Navigation uses your GPS location with Google Maps & Directions to create a simple but effective route navigation application. Coming with speech and a Tom-Tom like screen, there’s nothing to give it away as a free app, plus it’s never out of date as it uses the Google Maps library. The latest HTC phones, such as the Desire HD and Desire Z, both let you cache Google Maps on the phone itself, so you don’t even need to worry about losing your mobile signal – the maps are always there whenever you need them. It also has the very cool Street View function where your route is overlaid on the Street View, er, view, so you know exactly where you are. Very 21st century! And talking of futuristic…. Augmented Reality is the shiny, jetpack owning futurecousin of GPS. Like a cross between the internet, social media and a Tom-Tom, AR (as it will be henceforth called to save my fingers) is one of the most impressive apps on phones today. At its most basic, it opens up the camera of your phone and overlays local information over the live image, which changes as you move. A simple example is Google’s Sky Map – fire it up, let it find your position with the GPS and then hold it up to the sky and you’ll see a map of the stars that moves as you move. Getting a bit smarter you have apps such as Layar, which overlays information such as Hotels, Restaurants, Wikipedia entries and Twitter tweet locations onto the image you see live on your phone’s screen, beamed to you via its rear-facing camera. With AR you no longer need be a stranger in a strange city (although you will be waving your phone like a looney). Yes you can do some of this with an iPad but it doesn’t have a camera and frankly you’d have trouble mounting it on your windscreen. Another futuristic application, Google Voice Search lets you talk to your phone, but contrary to the ‘search’ suffix, it lets you do a whole lot more. “Call Mum” will call Mum (or as I found out, people called Monk); “Navigate to Tesco” will fire up Google Navigation and give you the option of which Tesco before guiding you there. All very clever and very 2010. Some Android handsets even let you use voice as a method of text entry so you can dictate emails, texts, in fact anything that uses text entry. The best thing about it is it’s also free and comes preinstalled on most phones with Android2.0 and up (which by now, is most Android phones released since early 2009). Although we communicate by many different methods these days, it’s often forgotten that under the mountain of other things that Android can do, the one thing they’re designed to do above all else is to help us speak to our friends. Yes, you can telephone people from Android handsets, either by regular phone lines or even by IP telephony. Making a nice change from typing, you can have an actual chat to an actual person, something you can’t do with the iPad in any form yet. With some phones, like Samsung’s Galaxy S, you also get a front facing camera to let you get some er, face time with friends over video chat-enabled apps. Plus, let’s not forget that the iPad may look a bit odd being held up to your ear unless you are the size of Jaws from the James Bond films. One of the things I love most on Android is Application Integration – where new apps integrate themselves into the framework of the OS so they can be used in other apps, not just on their own. An iPad simply can’t do this, and frankly, it drives me mental! An example: I’m browsing a page and want to share it. If I bring up “share page” in the browser’s submenu, I can send it to my Gmail account from my browser or bluetooth it to another handset. However if I install the Twitter app I now have an option to send it to Twitter, where selecting it opens a tweet box completed with shortened url waiting for your input. Likewise if I install the WordPress app an option appears for WordPress, opening up a posting page with the URL already in there. There are also Delicious apps, Evernote apps, Springpad apps, Facebook apps, and on and on, all of which integrate into your phone and extend its features in whatever app you’re using. This a real boon when apps can talk to each other like this and saves a great deal of time and hassle, and really becomes apparent when it doesn’t happen in systems like the iPad. One of the biggest selling points on HTC’s ad campaign for its Hero handset is how it could be personalised to reflect its owner, something phones had only offered in a cursory way before. With HTC’s Android phones, you can change the clock for a different clock, or even have no clock at all and just fill your screens with shortcuts iPhone-style – the choice is yours. You can even change fundamental parts of the system, something impossible on the iPad. So if you feel you want more out of a browser, search the market for another one more suited to your needs – there are currently six different versions to choose from, including browsers from Opera, SkyFire (very fast) and even Firefox (very beta!). The same applies for the email program, the input system, and even the home application controlling your home screens. 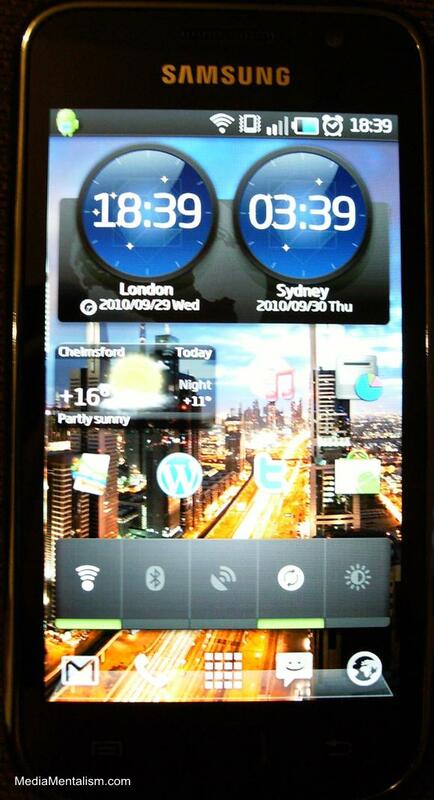 For example, I have a Samsung Galaxy S, but personally i don’t like Samsung’s Touch Wiz home screens. But instead of being stuck with it, I simply downloaded a home replacement in Launcher Pro. It’s an excellent, fast and smooth replacement and it’s the same launcher I’ve used on previous Android phones so I felt at home straight away. Another function you don’t miss until it’s gone – plugging in your phone by USB and being to access it as a hard drive like any other hard drive. It’s only in the last few years we’ve been able to do this; previously data transfer was handled with proprietary software and special cables but thankfully this is dying out. With Android, you can drag photos, movies and music on and off the phone at will, with no special software required and no machine authorisations. Compared to everything being tied into iTunes on the iPad, from photos to music and video to documents, this is a massive breath of fresh air. I say no more here as it’s been covered a million times already and to be fair only a handful of Android 2.1 devices handle a version of Flash lite. But with 2.2 FroYo ready to push the full, GPU accelerated Flash into the mobile world, iOS’s staunch HTML5 stance looks like that of an immovable octogenarian capra. You can probably tell I’m a big fan of Android but this isn’t rampant fanboyism. 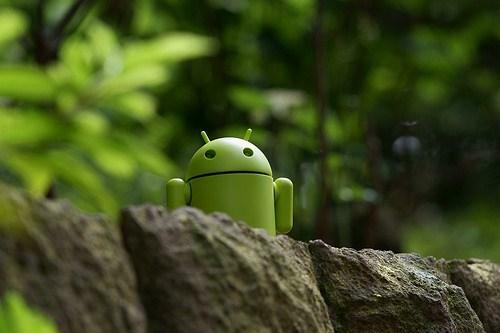 Android is in all honesty growing into a very powerful and flexible mobile OS and in the long run may do more to move mobile OSes on than Apple (although we still have to credit Apple for changing the game enough to allow Android to even exist). It’s not to say it’s suited to everything, with even Google themselves saying the current iteration isn’t built for proper tablet use. Which leads me nicel to part two, where we look at how the iPad has the edge over Android in more than a few areas. You can install certain apps such as MO-Call, which enable iPad users to make VoIP calls. hope that helps. Saw that the HTC Desire HD can cache google maps. 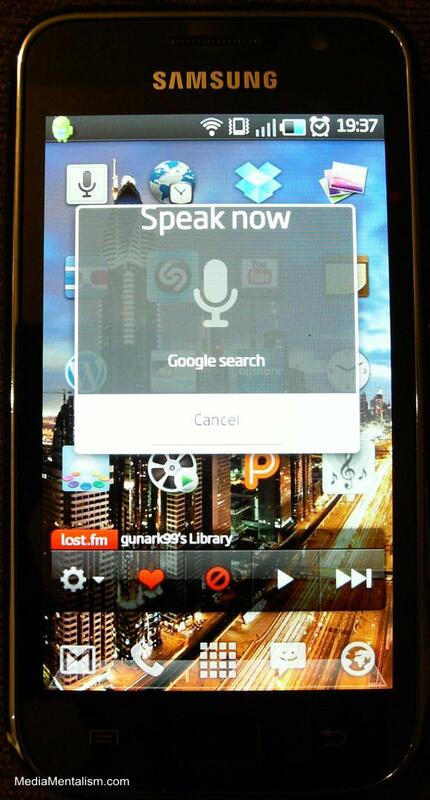 Is there any reason why they can’t provide this feature on the HTC Desire? I thought it wasn’t there because of some kind of licence issue but if the Desire HD can do it, why not the Desire? Having the maps pre-cached on the phone would save serious Mbs especially when navigating on the same routes.